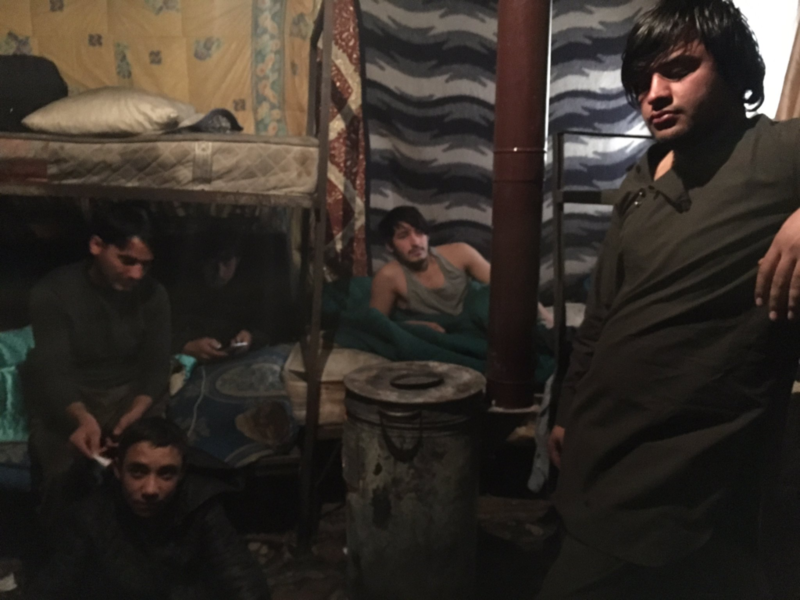 Istanbul – Six young refugees, all from Afghanistan’s east and south, are gathered in a cramped, makeshift room to shield themselves from the winter’s cold. Only a few metres from the three bunk beds is a wood-burning stove, meant to warm the room from the rain and snow that has seeped through the glassless openings where the windows should be. The collision between the outside cold — including the rainwater that has flowed onto the carpet by the wooden entry door — and the heat emanating from the stove, adds to the discomfort of the room. In here, even the elements contribute to the suffocating sense of overcrowding. Just when the smell of the burning wood and the sweat is too much to bear, a sharp, cold breeze flows in from under the pieces of fabric that hang on the walls. The chill is a brief reprieve from the stifling conditions of the sparse room, which bears the marks of a life of necessity and transience. “We came here to misery,” Hamidullah, 22, says as he stands above two of the bunk beds trying to take in the warmth from the stove. The six Afghans, including a 15-year-old boy, never envisioned life in Istanbul to be this way, but with the current conflict in Afghanistan now entering its sixteenth year, they have little choice. The Taliban currently control more land than at any point since 2001, civilian casualties reached an “all-time high” in 2016 and the unemployment rate has soared to 40 percent. Earlier this month, an explosion in Kabul left at least 150 people, mostly civilians, dead and hundreds more injured. Beyond the deteriorating situation in their own country, global events have made it obvious, they have little hope of making it beyond Turkey. Last March, EU member states (and Turkey) began closing their borders to refugees. Then, in October, the European Union made public an agreement with the Kabul government that would allow them to deport an unlimited number of Afghan refugees whose asylum claims were rejected. 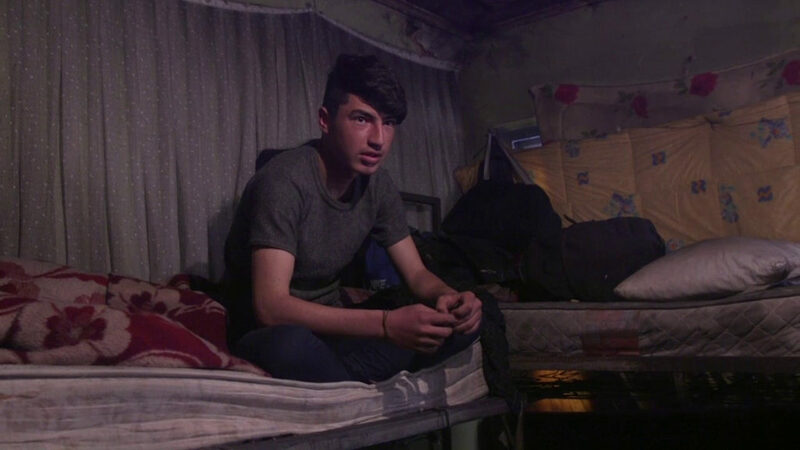 “There is no money for me to go further and I can’t return to Afghanistan,” said Ezzat, 18. Each of the six Afghans spent at least $1,200 to get from Afghanistan, through Iran, to Turkey. Nearly all of that money came in the form of loans taken out by their families back home. Repaying that debt, however, has not been easy. Afghan refugees speaking to me over the last year have repeatedly complained that their Turkish employers don’t pay them their wages. “The Turks will turn to you and say: ‘You’re Afghan’ and not pay you,” said Hamidullah. Hamidullah and others tried, with little success, to work in tailor shops, leather factories, plants that manufacture mechanical parts and other “factories,” but were often dismayed that they wouldn’t be compensated for their work. One refugee speaking to me said he had tried 10 times, with no avail, to secure a job that would ensure proper, timely payment. Mohammad Taher works at a tailor shop on the Asian side of the city but says he can never be certain if he will be paid. Most troubling for Afghan refugees is that in a foreign nation they have little hope of recourse. Though more than 118,000 Afghan refugees have registered with the United Nations High Commissioner for Refugees, thousands more remain undocumented. Whereas only a few years prior, Turkey was seen as an appealing alternative to the constant limbo of refugee life in Greece, recent downturns in the Turkish economy and security situation have made the country less attractive. In January, the Turkish lira hit an all-time low against the US dollar, add to that an unemployment rate of more than 10 percent, a severe downturn in foreign tourism, last July’s attempted coup and a series of high-profile attacks and the strains facing a nation hosting more than three million refugees becomes evident. This has led dozens of Afghans to seek an alternative form of employment, traversing “the city on seven hills” to collect refuse for 20-30 lira a day. At that rate, making the $1,200 to repay the debt for the trip to Turkey will be difficult, but paying the $5,000-$6,000 smugglers charge to take them to the EU will be nearly impossible. For Aziz, 20, the ordeal of walking for kilometres a day through the winter’s cold and the summer heat, was the last thing he envisioned when he made his way towards Europe three months ago. 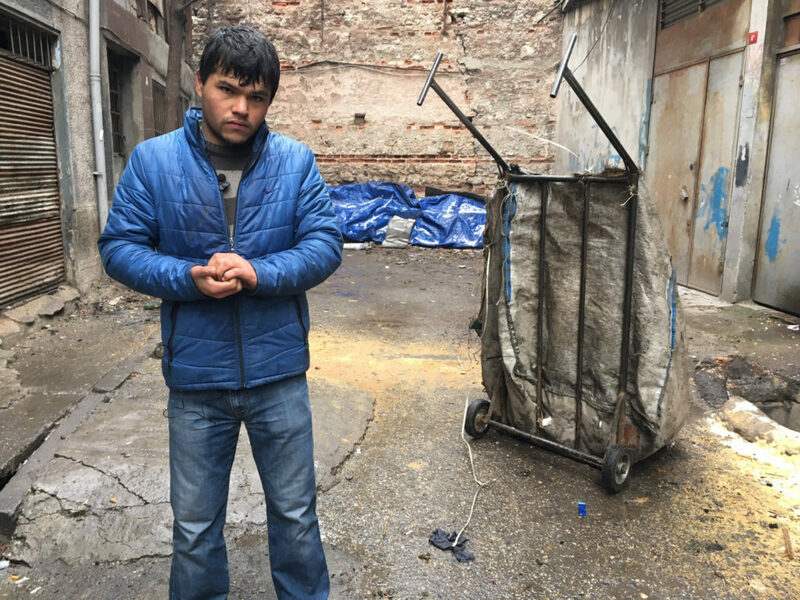 “I expected to have at least a job to make some money so that my family [in Kabul] could be happy,” he said as he towed a canvas sack through the cobblestone streets of Istanbul’s Unkapani neighbourhood. Instead, he spends hours at a time sifting through the city’s rubbish bins for plastic, glass and boxes that can be broken down and recycled. By day’s end, he can find himself bearing a load of up to 150 kilos. “I don’t know how the day turns to night and the night into day,” Aziz says of the laborious task of climbing up-and-down Istanbul’s streets with a canvas sack on his back. Though the trash collectors, which also include Kurds, Syrians and even some Turks, are seen all around the city, their presence is rarely acknowledged. Few will see Aziz’s torn, old sneakers being soaked in the winter rain and mud, or the plastic slippers Samir, another Afghan refugee, wears as the rain pours. Whereas his intention was to go to Europe and study, Aziz has now found himself doing what is usually the work of children in Kabul. Aziz, who used to wash cars and sell gum and cigarettes on the street of the Afghan capital, hoped that in the city of the glitzy serials he used to watch on TV, he could rise above such work. But not all of the refugees were menial labourers back home. Among the six men are two who put their lives at risk working with both the Afghan National Security Forces and the NATO coalition. Hamidullah, originally from Laghman province, worked with the Afghan National Police both in Laghman and Kabul. His involvement with the security forces meant he and his family were at risk of being targeted by the armed opposition, including the Taliban. Hamidullah said he was part of a security convoy that came under attack in 2014. Outside the room, in an area where the trash is sorted, Samandar, another young Afghan refugee, says he has proof he had served as a guard for US forces. However, before the refugee, originally from the eastern province of Paktia, can explain, he is warned that the Turks are watching him. “They told me not to speak about my difficulties,” he says. Near the room, under the watchful eye of the Turkish bosses, they may not be able to speak about their difficulties, but a few metres away, they are more comfortable. “We don’t have proper food. We find food from the garbage. We take it [from the garbage] and eat it in the room. We don’t have money to wash properly,” Aziz says. Then there is the matter of the turf war that has erupted between the Turks, Kurds, Syrians and Afghans (and even some Pakistanis) who have divided the city among each other. As Aziz nears the Emininou neighbourhood, he crosses an invisible line. “Turn around,” his friend, Samir says. “The Kurds will cut you if you cross into their territory,” he says. It’s not an empty threat, he lifts up his pant leg to show a knife scar on his leg. “In every market there are Kurds. The Kurds take out a knife and in Turkish say: ‘Don’t come here.’ The first time they warn you, the second time they cut you. Everywhere there are Kurds and Syrians,” Aziz says of the unspoken rules of their trade. Though Turkey has spent in excess of $6.5 billion on its humanitarian response to hosting the world’s largest refugee population, Afghans say very little of that ever reaches them. 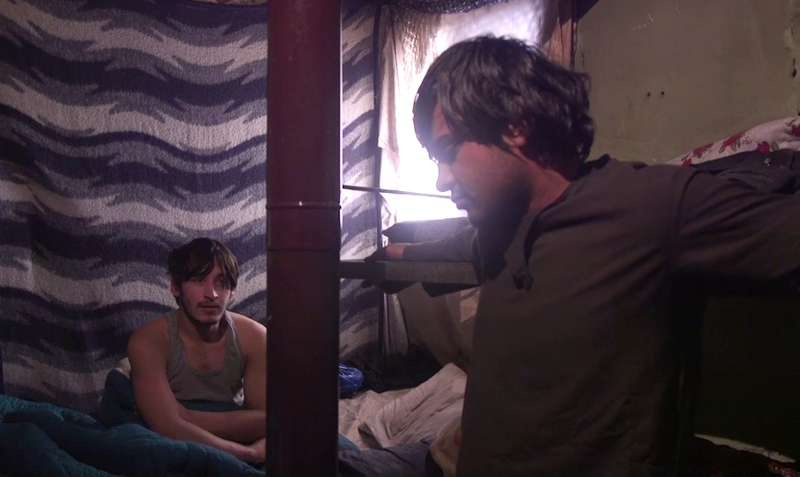 The conditions have left many Afghans disenchanted. “We had an expectation of a good life in Turkey. They see Afghans as animals here,“ said Ezzat, the 18-year-old from Logar, where the Taliban are now joined by forces claiming allegiance to Daesh. Afghan refugees in four neighbourhoods of Istanbul said they lack access to even basic necessities, including health care. “We can’t even get one pill for a headache,” said one garbage collector near the historic Sulemaniye Mosque. Nasim, originally from the northern province of Baghlan, spent nearly his entire life as a refugee in Iran. As such, he has no passport, Afghan ID or any other document needed to obtain medical care. “I’ve had stomach pains for two weeks now, but no one will treat me, I’m going to Iran next week,” the 18-year-old, who just arrived in Istanbul several weeks ago, says. For Afghan refugees, Turkey has undergone an astounding transformation. Once seen as a “fellow Muslim country” where they could live a life similar to that of their homeland while earning some money to help them to cross over into Europe, Turkey has now become claustrophobic nightmare. They still roam the streets, except this time it’s to dig through what the Turks have thrown out. They still make some money, but it’s not nearly enough to leave the tiny rooms in dilapidated buildings they have been relegated to. There may be a picture of the Afghan King Amanullah on the road to the historic Dolmabache Palace, but Afghans have now been pushed to the fringes, as the nation’s attention turns towards Syrian refugees fleeing the war there. They never envisioned life in Istanbul to be this way, but they know it could be worse. “At least we have each other, there are Afghans sleeping in the parks,” says Hamidullah, a native of the eastern Afghan province of Laghman.